I’ve been hoarding my fabric selvedges for a long time and I decided it was time to get them out! They are the ultimate scrap aren’t they? It is kind of ridiculous to keep them, but they are so pretty and quite fun to sew with. After a successful first attempt which you can see here, I made another One Hour Basket. 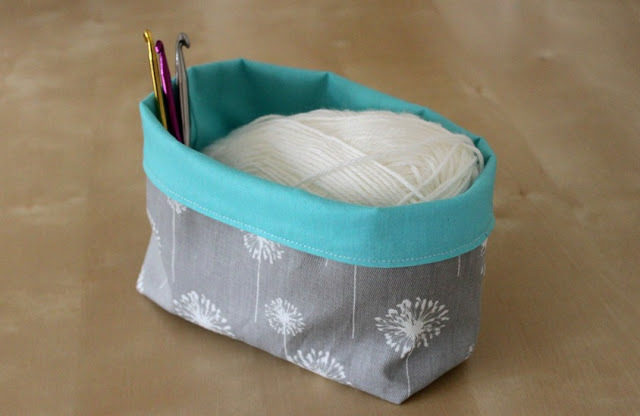 You can find the free PDF tutorial here on Craftsy. When I trim selvedges off fabric I try to keep about 2cm of the fabric attached so when I sew them you can see a bit of the print. 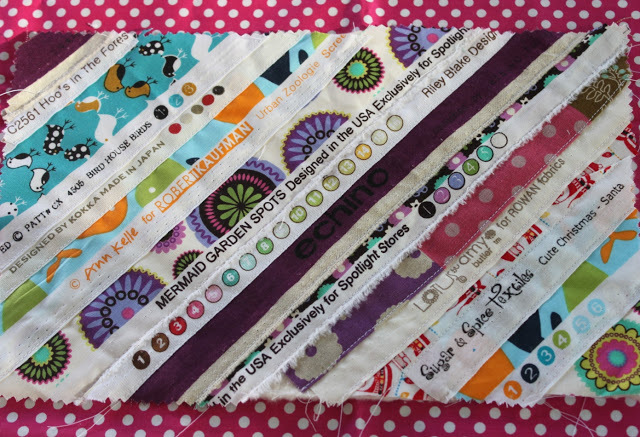 This keeps the project colourful otherwise selvedge projects can look very monotone. It’s also nice to get a peek of what the fabric was originally. I like to sew selvedges onto batting with a piece of scrap fabric on the back to make for smooth stitching. The batting and fabric layers make for a sturdy panel and if I need extra structure I’ll use canvas or home dec weight fabric as the backing. I apologize for giving you all another reason to hoard scraps! 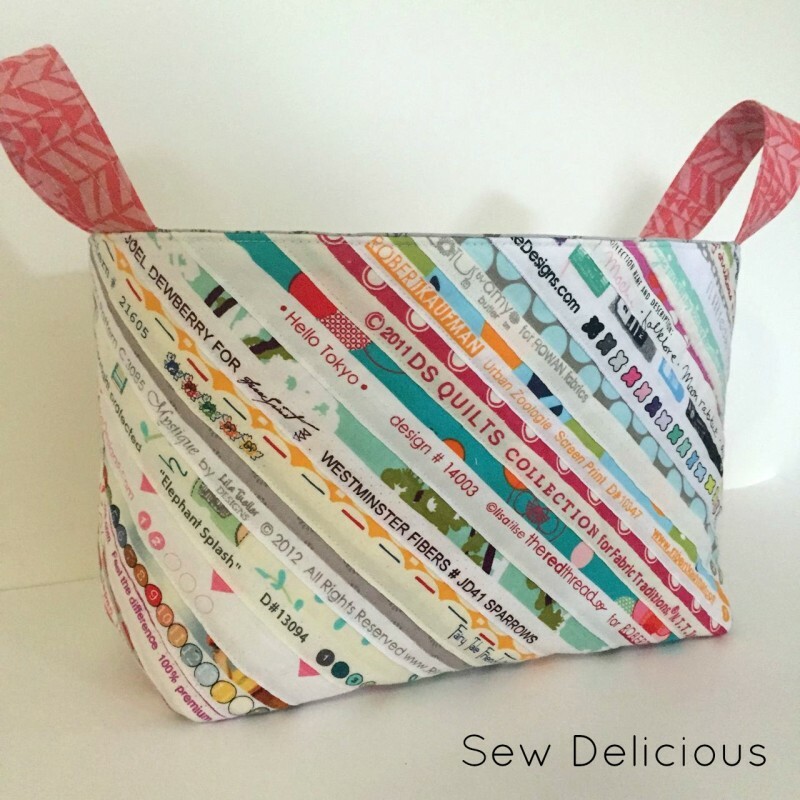 Selvedge projects are the coolest and I love when you go to a quilt show or fabric store and see someone with a selvedge bag or pouch – it makes you feel like you are part of a secret society of fabric appreciators! Am I right? I also feel like that when I see something handmade and I recognise the fabric by designer or line. 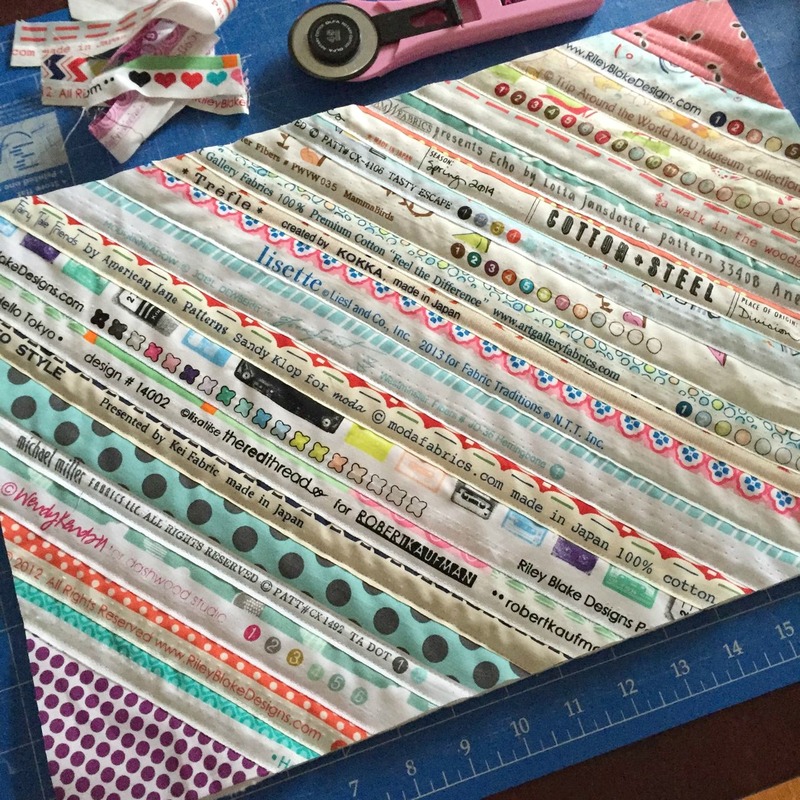 I was thinking I could do a quick tutorial showing how I make my selvedge panels…yay or nay? 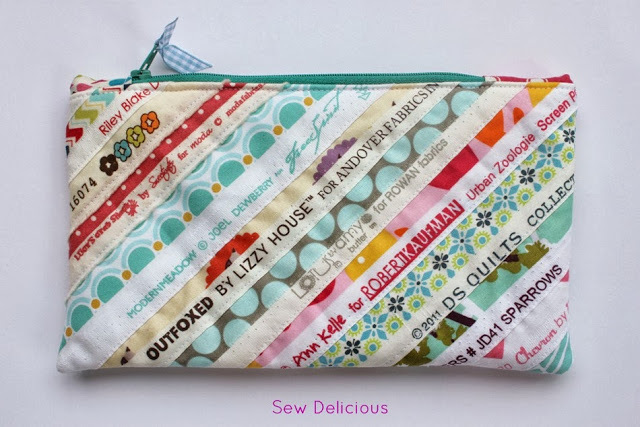 Or maybe a small selvedge project sew along? That could be fun! Yes I’d like a tutorial! Basket is adorable. 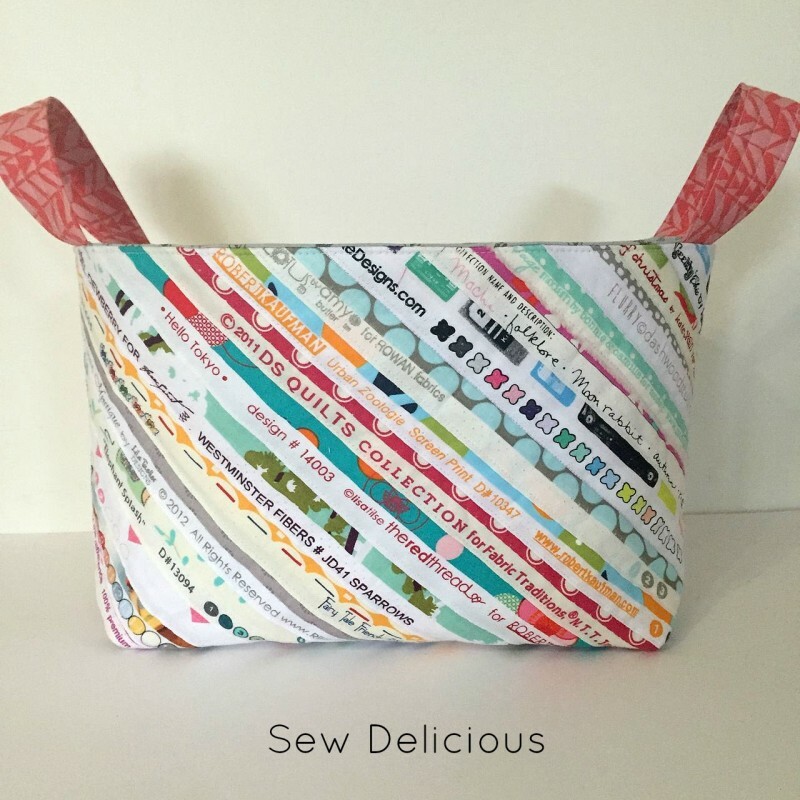 Ok I’ll get to work on a selvedge tutorial! Thanks Amy! I’ll work on putting something together! I’d like a tutorial, too. 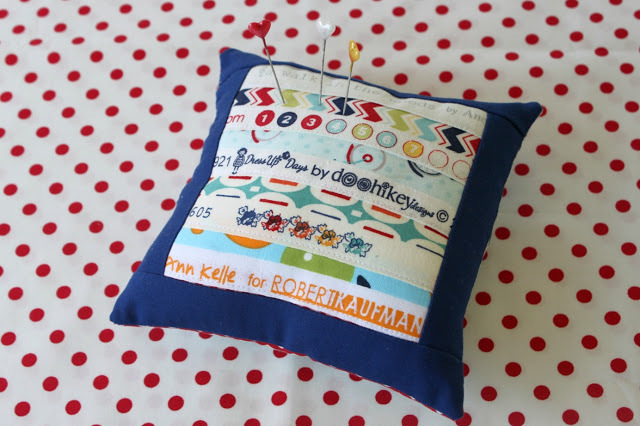 I’d love a quick tutorial on quilt as you go! Hi Sherry, sounds like a plan, I will put together something soon! I love it! That was my idea for Abby’s Selfish Swap. I want to make another one hour basket. Not sure what I’ll do but this was one of the ideas! How fun does Abby’s swap look! It’s been very popular! I think I might make another project with raspberry kiss blocks. I love this, and I would LOVE a tutorial! Thanks! Love how you’ve left some of the print on the selvedges, Ros. I’ve never thought to do that. 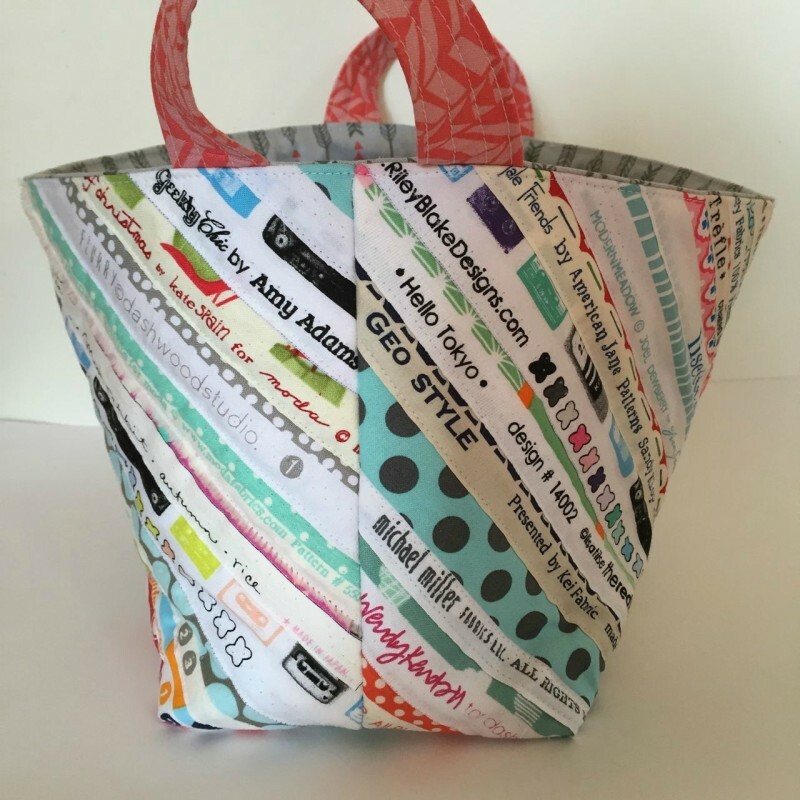 Love your basket. 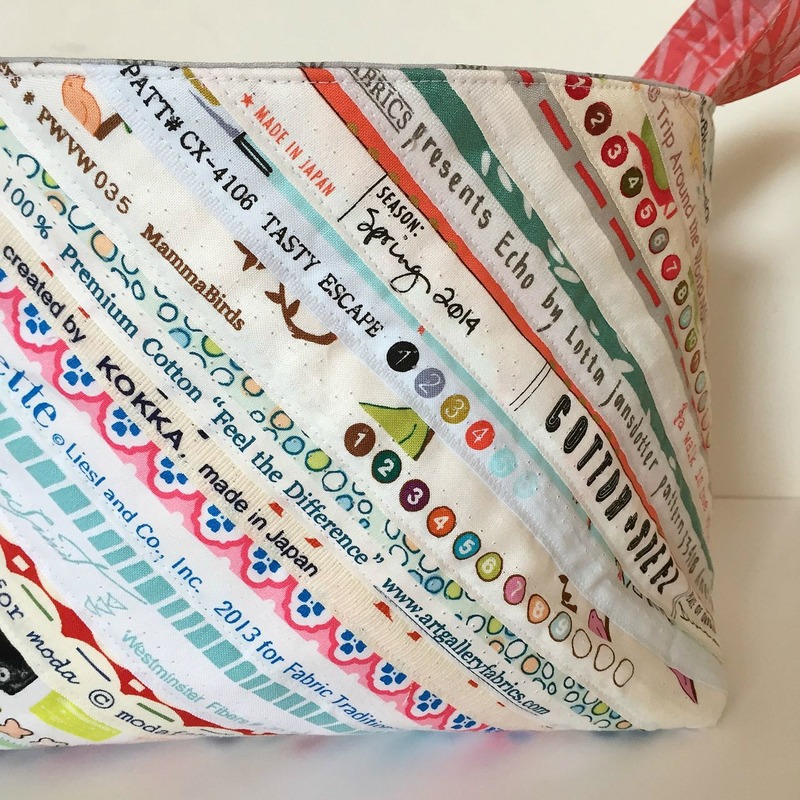 Please write a tutorial for the selvedge one hour basket!!!! So cute and have looked for one on line w/o success! I too have been hoarding selvedges! Would love a tute! I would love to see a tutorial for this! Your basket is beautiful! I’d love to see your tutorial! Oh Ros what a lovely idea.I have been throwing my selvedges away.,Well,I am nearly 75 yrs old,but not too late to start learning. Never too late Iris! Save them up!